Social Justice Fund is pleased to share the 2017 Momentum Giving Project’s Native Led Organizing grant awards! These grants were made possible by a small but mighty group of Giving Project alumni who worked very hard over just a few short months to reach their fundraising goal. In total, they raised $73,870 from 110 donors. In addition to their fundraising work, this project received a $30,000 matching grant from the Satterberg Foundation. The work of the 2017 Momentum Giving Project means that SJF will be able to award 9 grants of at least $10,214. Read Momentum Native Led Organizing Giving Project member Mike Beebe’s story of his experience with the project. The Momentum Giving Projects are designed to be responsive to the “movement moment” that is happening at the time. We recognize that our grantees are organizing — strengthening communities, training activists, building analysis, developing leaders, making change — all the time. But sometimes, a spark catches. Circumstances come together so that there’s new momentum and focused attention around a particular issue. This particular Momentum project set out to support Native Led Organizing efforts following the months long protests at Standing Rock against the Dakota Access Pipeline. In this time of increased need and demands on Native led organizations as momentum grows around the fight for Native survival and sovereignty, we are excited to provide funding to Native led organizations and projects that are advancing solutions and strategies led by and for Indigenous communities. Chief Seattle Club’s mission is to provide a sacred space to nurture, affirm, and renew the spirit of Urban Native Peoples. The Club is a day center for homeless and low-income American Indians/Alaskan Natives (AI/AN) providing 2,352 members a year with basic needs; food; health care; mental health; legal assistance; housing assistance; access to benefits; cultural, art and spiritual activities. They are requesting support for their advocacy and education work regarding homelessness, and their work to develop an AI/AN affordable housing project. The mission of Indian People’s Action is to work in Montana’s border towns and reservations to empower Montana’s Indian families to address the economic, racial and environmental inequities that shape their lives. The 2017 legislative session has raised threats to Nativevoting rights in Montana. IPA is fighting to defend the gains they have won. They seek support to maintain the momentum they have created in raising awareness and combating racial profiling and the over-representation of Natives in the criminal justice system. And they will run a youth leadership training focused on social and environmental justice, and will continue working with tribal groups to advocate for sustainable development through green energy initiatives that benefit all. Na’ah Illahee Fund works to advance sustainable Indigenous cultures in the Pacific Northwest through support of women, youth, artists and culture-keepers. Na’ah Illahee Fund exists to facilitate the fulfillment of our responsibilities as caretakers of Na’ah Illahee, Mother Earth, and to catalyze the movement towards wellness-based, sustainable Indigenous cultures. Na’ah Illahee Fund builds power in Indigenous communities by supporting the leadership of Indigenous women and girls to develop a strong multi-ethnic, intergenerational justice movement at the intersection of racial and gender equity. The Native Youth Leadership Alliance invests in young Native American leaders and communities to create culturally based community change. NYLA is led by young adult Native leaders (ages 22-38) and elders, and serves as a bridge generation to activate and support youth through training, capacity building, and leadership development focused on youth-led, elder-advised community organizing. NYLA’s growth for the next two years includes launching a new Fellowship Program cohort, further developing our Advanced Leadership Fellows, continuing policy-development work with Tribal Youth Committees, and strengthening internal capacity to improve our programming. Nimiipuu Protecting the Environment works with Nez Perce Tribal members and youth both on the reservation and off to develop activism and empowerment strategies to foster positive self-image and change in the social and natural environment. They use education and activism to empower Nez Perce people and work with other tribes and non-Tribal Environmental groups to build strong coalitions. They want to make sure that tribal members have the knowledge and skills to protect their rights as Individuals and as Tribal members. Red Line Salish Sea (formerly the Bellingham #NoDAPL Coalition) utilizes Indigenous leadership to unite community members of the Bellingham/Whatcom County to engage in actions related to educating, divesting, and building networks for addressing colonization, climate justice, and environmental injustice facing Native people in the Coast Salish territories and in North Dakota. The mission of Red Lodge Transition Services (RLTS) is to prevent the incarceration of Native Americans and provide assistance to incarcerated Native Americans who are proactively working toward creating a better life for themselves, their children, and their communities. 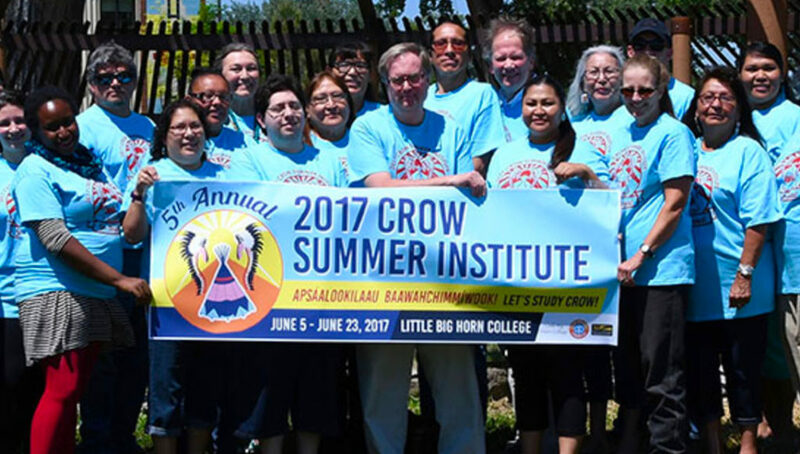 Funds will help Red Lodge Transition Services develop their program for Native women transitioning out of incarceration, and build a holistic residential transition center that uses a model of healing and restorative justice that is culturally and spiritually rooted in traditional Native practices and values. Wind River Native Advocacy Center’s (WRNAC) mission is to empower Native Americans of the Wind River Indian Reservation and Wyoming through leadership development and community organizing to effectively advocate for equity, health care, economic justice and environmental justice. Using organizing, advocacy and community education, WRNAC will establish environmental quality programs on the Wind River Indian Reservation for the benefit of current and future generations.